I have had one of those weeks where every sewing project I have attempted has not turned out. I blame it on the baby, sucking my brain away as his little body grows bigger. So, since none of my KCWC efforts have worked out –yet!– I picked up a project I had started quite awhile ago, but never finished. Matching pajama pants! These are upcycled from an XXL pair of men’s pajama pants. I used the hem on the bottom for E’s pants (on the left) and used the existing waistband for Sam’s pants (on the right), including the drawstring. 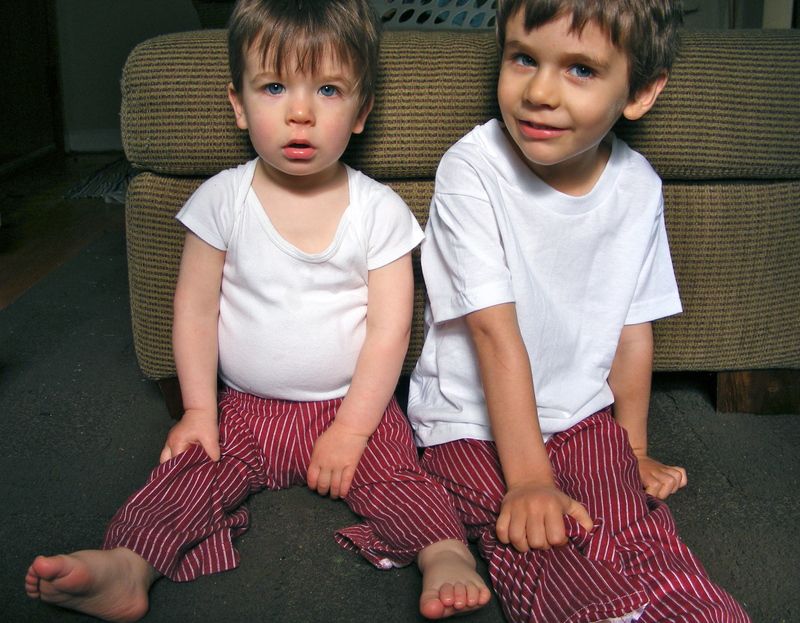 I love to dress my boys in matching clothes. I will do it as long as I can get away with it. And then when we add baby boy number three to the mix, just think of all the matching craziness! I. Can’t. Wait. Oh, and last day to enter my giveaway at Shwin&Shwin! Previous postLong Sleeved Maternity Tee! 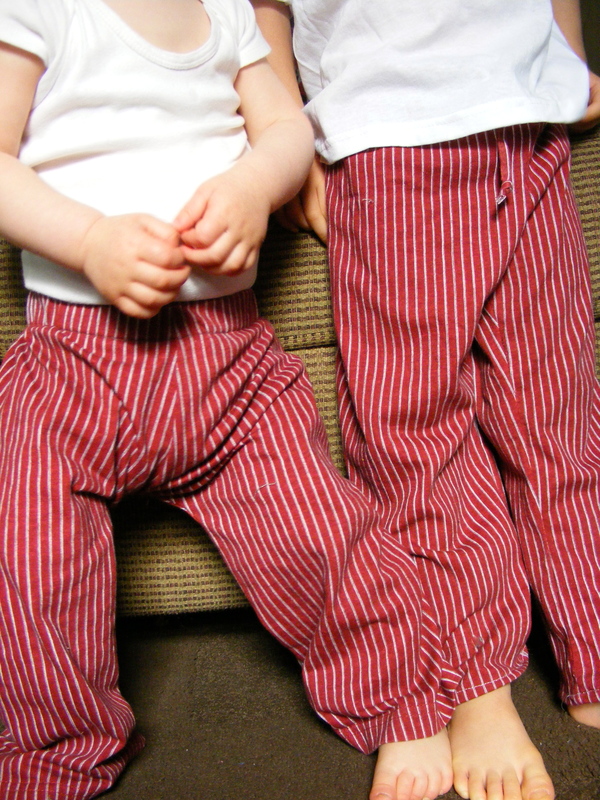 Aww, they just look too cute in their matching pants!